Lately we realized that in all the time we spent in England in the past we NEVER had Sunday roast, neither at home nor at the pub… We absolutely had to amend! Absolutely gorgeous, and just the way it should be! The Yorkies look positively perfect. 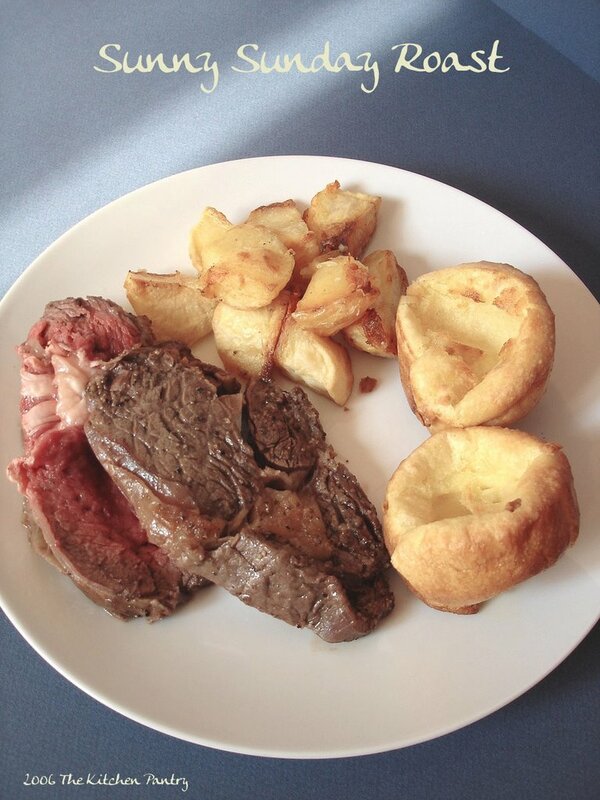 Your roast looks absolutely delicious – but hey, where’s the gravy? Che brava!mi hai riportato alla mente tante serate londinesi!Un bacio. Come hai fatto la horseradish sauce? Le lingue barbare seppur molto usate come tutte le cose mediocri mal ti si attagliano.